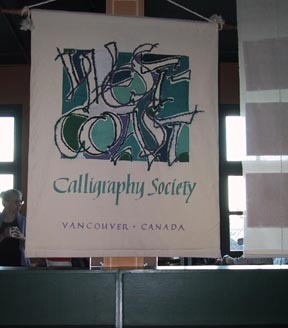 Our banner shows a west coast design influence. Join us and explore the many different faces of calligraphy. General Meetings are held on the 4th Wednesday of each month except July, August and December. Meetings start at 7:30 p.m at the Jericho Hill Centre, 4196 West 4th Ave in the West Art Room. There is an art program as part of each meeting.